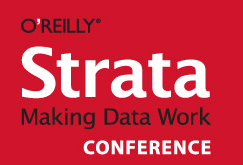 I attended the O'Reilly Strata Conference in Santa Clara, CA. It was quite a different conference than the sort that I have frequented over the last ~10 years (which have overwhelmingly been Linux and Open Source focused). This conference focused on a new industry buzz term -- BIG DATA. Many of the speakers bragged about how large their databases were (100M rows, a 1B rows, 10M columns (WTF? ), etc). If Ubuntu is the a darling of Linux conferences, Hadoop was undoubtedly the head honcho in this crowd. Speakers were employed by the likes of Amazon, Microsoft, IBM, LinkedIn, and others in that vein. A healthy subset of the companies here were selling open source or at least open core solutions, most of which ran in Amazon's cloud, and most of those that I could gather were Ubuntu-based. The attendees, though, were hardly open source or free software zealots. I'd estimate that less than 2% of the 1700 attendee's laptops were running Linux. This was very much a Mac crowd (and Windows to perhaps a lesser extent). So this was pretty cool -- at least 100+ Ubuntu VM's booting to the drumbeat noise throughout the room (at least the people who's sound was not muted). 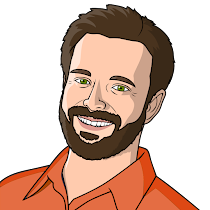 The focus was not on Ubuntu, but I'm sure a few people saw it for the first time and perhaps realized its potential as a development platform for the cloud through the Eclipse SDK. bzr, irc, wiki, mailing lists). I took it that this was a new set of concepts for some contingent of the crowd. I didn't take any real "action items" away from this conference for the Ubuntu Server or Platform teams. Chief technical guys and gals from LinkedIn, Google, and Bit.ly's talked about their methods of using Map Reduce and various other "big data" techniques to tear through hundreds of millions of records and still deliver a real-time user experience. So as a server geek, I certainly enjoyed the conference and learned a lot, but I doubt I'll need to attend again in the future. I was there, I work for Karmasphere and my laptop is a Dell running Ubuntu 10.10. I guess we missed each other.